Sometimes the weather is really tricky. 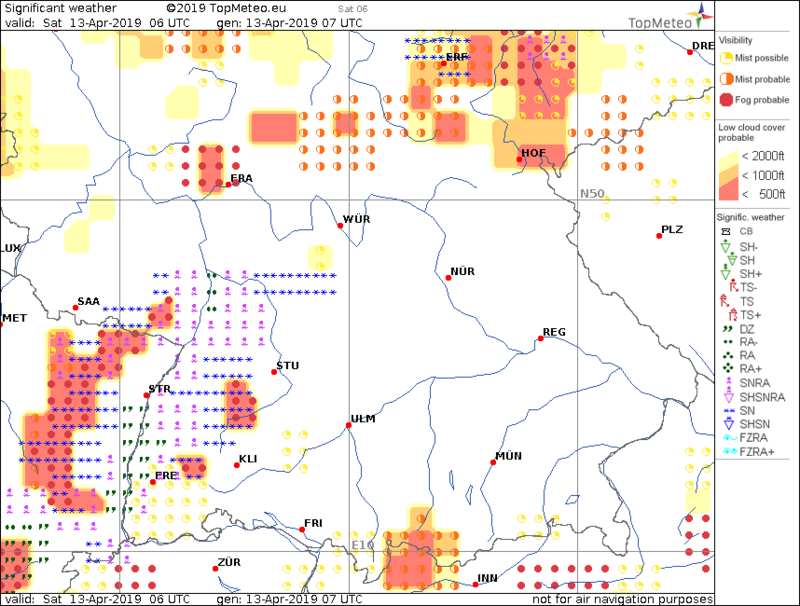 In order to give VFR-pilots more safety in flight planning, we have included the GAFOR of the German National Weather Service (DWD) as a second opinion on our website. Especially for the short-term range (up to six hours ahead) a further forecast source is available. It complements the Significant Weather maps that TopMeteo has been offering for more than 10 years. The GAFOR (General Aviation FORecast) is created manually by the flight weather advisers of the DWD. It is a prediction of the visual flight conditions for two hour blocks and it is generated for six hours in advance. In this forecast, Germany is divided into 68 regions. Elevation and climatology are the relevant criteria for the classification. 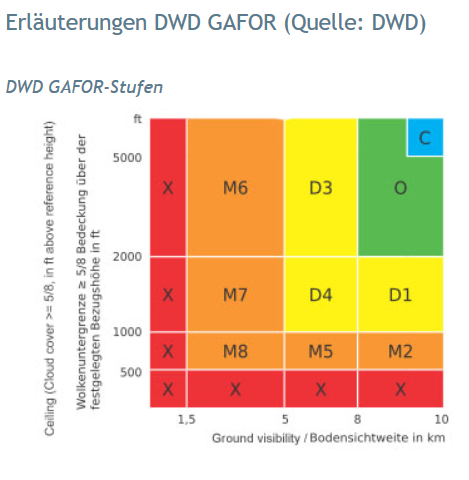 The map of Germany gives an overview of the expected visual flight conditions based on the GAFOR classification. The finer classifications according to the respective visibility and ceiling and the information on the prevailing weather phenomena can be found on the regional maps. GAFOR is only displayed for Germany and the German subregions. The charts integrate perfectly into our matrix. They can be found in the predictions for Germany. To add them to your favourites, you must click on “Show all products” to display the entire matrix.